Incomes don’t tend to vary too wildly over most of the east coast of Australia; but prices of property certainly do. And that makes South East Queensland, with prices of houses and units roughly half of what you’d pay in a city like Sydney, look like a real bargain. In addition, rental yields are much healthier too, says Domain Group’s chief economist Dr Andrew Wilson. “Because prices up to now have been a bit flat there, and vacancy rates low while rents are quite moderate, it means yields are higher than in Sydney and Melbourne,” he says. While rental yields in Sydney, for instance are 4.1 per cent for houses and 3.3 per cent for units, on the Gold Coast they’re 4.4 per cent and 5.3 per cent respectively, with Brisbane reporting 4.8 per cent and 5.1 per cent, on Domain Group figures. House rents on the Gold Coast, moreover, have risen by 2.2 per cent over the past year against Brisbane’s 2.5 per cent and Sydney’s miserly 1.9 per cent. Unit rents, over the same period, shot up by 5.4 per cent on the Gold Coast, 2.7 per cent in Brisbane and 4 per cent in Sydney. “What also makes this part of the world very interesting to invest in is the standard of many of the new projects being built,” says Owen Moore, director of Richardson & Wrench Projects. “You’re seeing a lot of amazing resort-hotel-style developments, with beautiful rooftop pools, gyms, dining rooms and a strong commercial component which appeal to the downsizer market who are really falling in love with them. When they’re so special, they’re a hit with the market too, then capital gains can be considerable, says Moore. At the award-winning Austin Apartments in South Brisbane, he had buyers of $650,000 two-bed apartments off the plan reselling for $840,000 six months after settlement. “Rents too are very healthy, with the building manager having a waitlist of people who want to rent there,” he says. Interstate buyers are increasingly interested in South East Queensland too, believes Marwan Rahme, managing director of the finance, wealth advisory, property and capital group of companies, Kanebridge. He regularly takes groups of investors to Queensland, then puts them in a helicopter to show them the lie of the land. “They all see the glorious scenery and beaches, focus on the infrastructure spend, look at the shopping with the luxury brands like Tiffany and Prada, the casino being extended, the Commonwealth Games coming, the light rail and link to heavy rail … and they’re impressed. Getting in early at the developments can also earn a discount, as it saves Queensland developers the huge marketing spend they have to undertake to publicise their projects. Capital growth may have been slow over the past five years – 10-10.6 per cent on the Gold Coast and 13.7 per cent for houses in Brisbane, but a drop of 1.1 per cent for units – especially compared to Sydney’s meteoric market rise of 42.5 per cent to 54 per cent, but most are confident that’s picking up. Some of the developments now going on include Brooklyn at Varsity Lakes, with 88 warehouse-style apartments developed by The Howard Group, with a cafe downstairs, a terrace on the roof and a podium garden. Another under way is the 35-level, 219-unit The Beach Apartments at Broadbeach, developed by Anthony Moreton Group and Pryde Group, with a pool, zen garden, gym and lounge. One-beds are being sold from $330,000 and twos from $550,000. Then there’s BlueSky’s The Duke at Kangaroo Point, 135 apartments on 16 levels, with views into the Gabba stadium, and two private rooftop clubs. One-beds being sold by Richardson & Wrench Projects start at $375,000, twos at $470,000 and threes at $790,000. They also have the OXY at Brisbane’s Stones Corner, 56 apartments over six levels with bespoke features and a rooftop terrace with an outdoor kitchen, from $389,000 for a one-bed, $514,000 for two and $677,000 for a three. 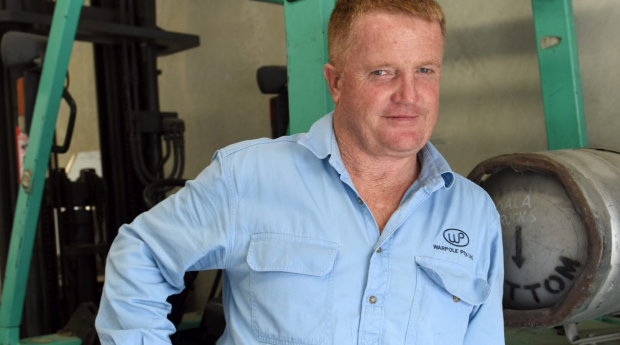 Electrical contractor Graham Ward reckons buying apartments on the Gold Coast has been among the best investments he’s ever made – both in terms of financial returns, and in enhancing the quality of his life. Because as well as reaping the benefits of capital growth, and the income from renting them out to holidaymakers, he’s also benefited by being able to book time there as well. Ward recently sold one of his apartments at Broadbeach, in the Synergy block, and put the money instead into a unit in the Morris Property Group’s Qube next door. Domain Liveable Sydney 2016: What the study reveals about our city. Here’s what ordinary punters reckon is going to happen with house prices.